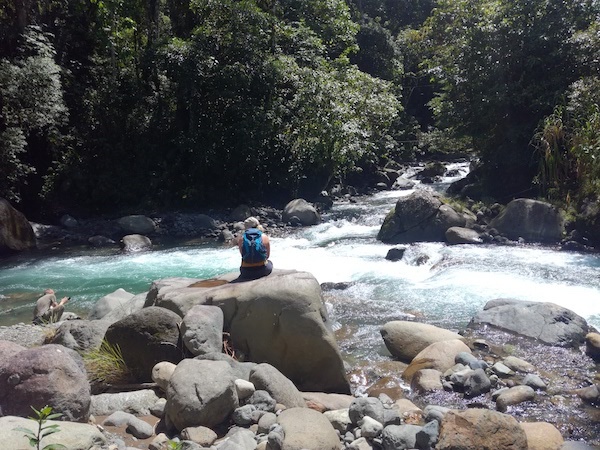 This Boca Pacuare to Turrialba tour takes you off the beaten path to some of the most untouched areas of the country. With locals as your guides, you'll see sides of the country a lot would miss. Your activities include spending the day at a local sea turtle conservation project, touring the array of untouched canals and lagoons, spotting monkeys in the rainforest and learning to cook traditional Costa Rican cuisine with a local family. 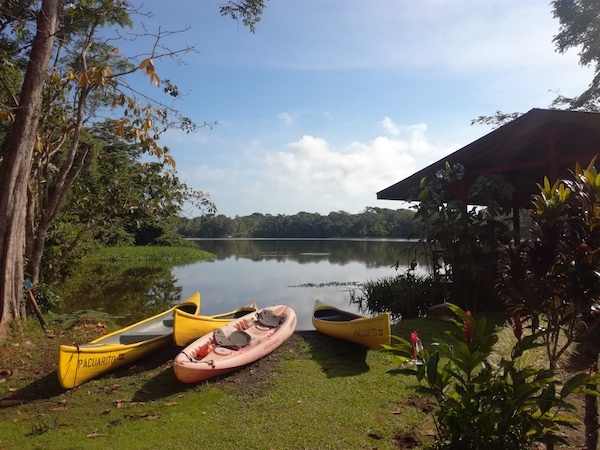 Tour the canals of Boca Pacuare (otherwise known as the Costa Rican Amazon) with a local guide. When in season, there’s also the option of a night tour with a local naturalist to see the green turtle lay eggs on the beach! Hike at the La Matra reserve – with a visit to a local research station. Overnight stays with taxes included: 4 nights, in double occupancy with breakfasts in all hotels. All point to point private transfers. Turrialba is named after the volcano (Torre=tower and alba=white). The volcano sits at 3,328 m along the southeast end of the Central Volcanic Corridor and at the moment is the country’s most active volcano. Turrialba also hosts a beautiful reserve full of tropical plant species, Fun fact: There is an endemic specie of orchid that has been name by this town and it became a local symbol. It’s latin name is Cattleya dowiana and it’s called “Guaria Turrialba” or the “Queen Orchid”. We had a fabulous trip. The rides and hotels all worked out quite well and everything went smoothy. Thank you for all your help. It made everything easier for us to enjoy our time and not be figuring it out as we go along. Finishing up the BEST WEEK EVER with Alonso and Roberto. Thanks for your time, the beaches and especially for the magical arriabada (sea turtles nesting) Muchas gracias a mis amigos. We leave first thing from San Jose. Twenty minutes after leaving San José towards the Caribbean lowlands, you will drive into the Braulio Carrillo National Park, one of the largest and most diverse parks in the country. After approximately 30 minutes, you will descend into the lowlands, and you’ll be able to see the transition between the Cloud and the Rain Forest, breakfast will be taken in a restaurant on the way. At mid-morning you’ll arrive to the port where you’ll get on a river boat. Your vacation begins in Boca Pacuare, as today’s destination is the fascinating canals of the Caribbean coast, considered the Costa Rican Amazon. Your boat will take you up to this area, with its extensive system of canals, and to the lodge where you will spend the next two nights. Your guide will give you detailed explanations of this complex Eco-system. Miles of untouched Caribbean beaches also offer the opportunity to see (when in season) the green sea turtle nesting or the leatherback sea turtle, the world’s largest and second largest sea turtle in the world. 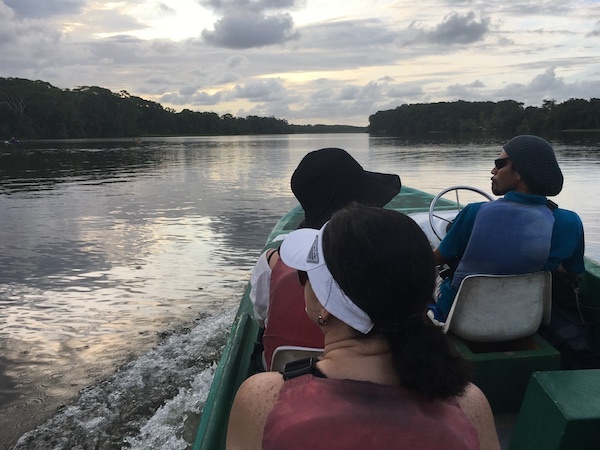 A full day to explore the Boca Pacuare area: a floating trip on the canals of the Madre de Dios lagoon is a great opportunity to see a big variety of birds, reptiles, monkeys, and butterflies. To top it off, you will also visit the Pacuare Biological Reserve. You will also visit the Sea Turtle conservation Project and spend time with the volunteers in charge of the program. If you visit during the week days, you will also visit the local rural school. When in season there is an optional night tour to see the green turtle laying eggs on the beach. All the visits will be done with a local naturalist guide! Kayak the Madre de Dios lagoon: this is probably the best thing to do in the area that most people don’t even know about. You will have a great and peaceful time. After breakfast you will leave the beautiful Caribbean coast, through the beautiful rivers of the North Caribbean, and back to the pier to jump back into the van to drive back to the valleys, but this time you’ll take a detour and will end up in Turrialba, city that was once the gateway to the Atlantic coast, and now it’s an important agricultural region and tourism destination. The drive is very scenic as you cross the green mountains and reach Turrialba, a gateway from the Caribbean Coast to the Pacific Coast, without having to stop in San José. 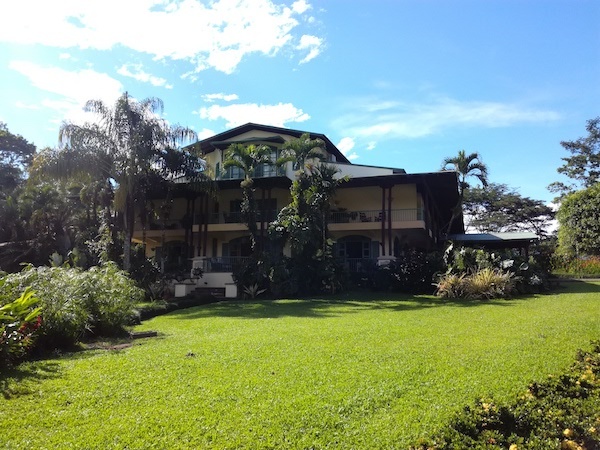 You will stay in a Costarican Old Hacienda. Optionally, you can let a guide show you about the farm animals, enjoy the beautiful topical gardens or just kayak in the beautiful lake of the Reventazón River Dam. After breakfast, you’ll spend the full day with a local guide at the beautiful La Marta reserve. This reserve is much less visited by tourists than the main national parks, but whilst it’s not as popular, it still offers an equally incredible experience. A UNESCO heritage site consisting of 1518 hectares of protected land, this stunning reserve used to be a hub for gold mining and excavation, but the locals have swapped their pick axes for binoculars and books, as it’s now the home to a university that specialises in ecology and natural habitats. You’ll spend you day hiking around the reserve and paying a visit to the university to learn about the work they carry out there. After the hike you will have a cooking lesson with a local family and eat lunch together.